Aikido is a modern martial art derived from the samurai fighting art of Aikijutsu which evolved in the early recorded history of Japan. 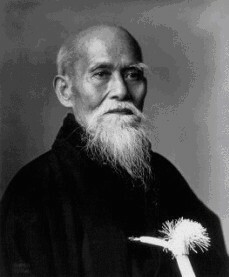 Ueshiba Morihei, a recognized master of Aikijutsu developed what is now known as Aikido to strengthen his mind, body and spirit. Aikido teaches joint locking and throwing techniques. The techniques do not require a great amount of strength so it is the ideal martial art for smaller people. Its techniques use the redirected energy of an attack to subdue the attacker. There is no competition in Aikido. Skill is developed through the repetitive practice of techniques.